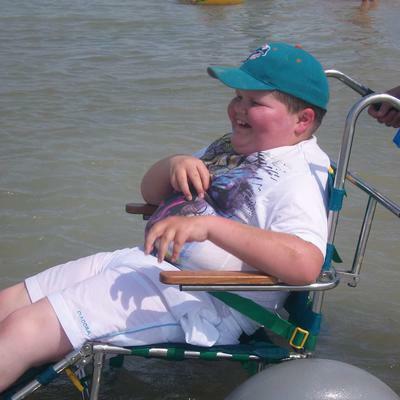 Beach within Reach is a registered charity and have 15 all terrain wheelchairs available for use on 7 of the beaches, surrounding countryside & attractions in the Margate & Broadstairs area. 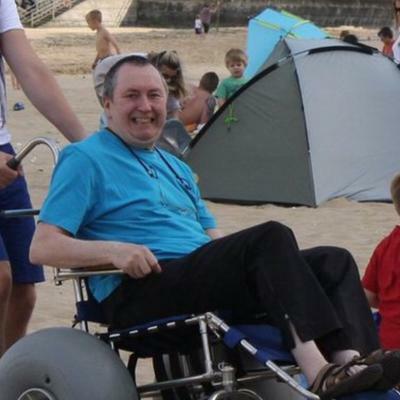 They are free to use by anybody with a mobility impairment & are available on the beaches during summer and all year round on request. Please bring some personal identification with you. The chairs do not need to be booked in advance but it is advisable during the main summer season. Emai: beachwithinreach@sky.com for more information. Thank you Debbie for getting in touch. 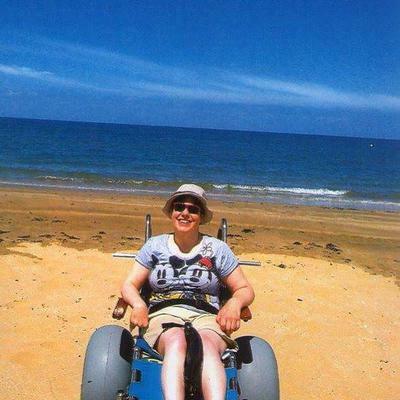 It's amazing that you have 15 all terrain wheelchairs - that is just awesome and must have taken some serious fundraising by your charity. Your lovely pictures clearly show the pleasure they have given your customers.